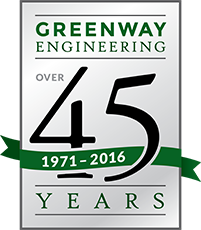 In 1971 Greenway Engineering was created and named after Greenway Court in present day Clarke County, Virginia. The company was founded by Ferman Perry, P.E. of Perry Engineering. In July of 1996 Mark D. Smith, P.E., L.S.. became the owner of Greenway Engineering. Fairfax, Thomas, 6th lord and baron of Cameron, was the friend and patron of George Washington’s early life, born in Leeds Castle, Kent, England, circa 1693; died at his seat at “Greenway Court”, Frederick County, Virginia, December 12, 1781; son of Thomas, Lord Fairfax of Cameron and of Catherine, daughter of Lord Culpeper. His barony and immense domain, consisting of 5,282,000 acres lying between the Rappahannock and Potomac Rivers and a great portion of the Shenandoah Valley, was inherited from his mother. The land, known as the Northern Neck Proprietary, was originally granted by King Charles II on September 18, 1649 while he was in exile in France waiting to be restored to his throne. This grant was made to eight of his trusted supporters of whom Thomas, Lord Culpeper was one. As the political situation in England continued to suffer, so did the Northern Neck charter. Eventually, a new charter was issued to Thomas, Lord Culpeper and Henry, Earl of Arlington. After his death in 1689, Culpeper held the title alone. The title then fell to his daughter Catherine who married Thomas, fifth Lord Fairfax. Their son was Thomas, sixth Lord Fairfax who came to Virginia from 1735 to 1737 to inspect and protect his lands. So enamored was he of this beautiful and bountiful domain, and so aware of the problems of retaining control over it, he returned to Virginia in 1747 to personally oversee his proprietary. He first settled at Belvior and in 1752 he moved his manor at “Greenway Court” a few miles from Winchester, Virginia in the Shenandoah Valley. He was the only English peer to take up residence in America. The area of the Northern Neck covered over 5.2 million acres and encompassed all of old Frederick County, Virginia and old Hampshire County, West Virginia as well as several other counties. He realized that the country must be surveyed and parceled out to settlers by land grants. At Greenway Court, his small hunting lodge, Lord Fairfax set up a land office to record surveys and grants that were part of the land issuing business. He began to look for surveyors who were competent to survey and subdivide his land and who could survive the rigors of life on the frontier. 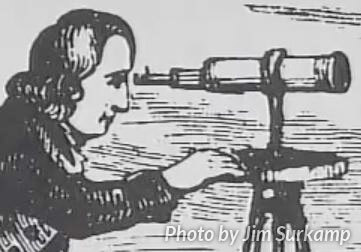 It was in 1748 that he made acquaintance of George Washington, then a youth of 16, and, impressed with his energy and talents, employed him to survey his lands lying west of the Blue Ridge. Since George Washington was born the first son of a second wife, his half-brothers from the first marriage stood to inherit much more of their father’s property than George could expect. Therefore, George needed to find a suitable profession to support himself, since he could not expect to inherit enough land to survive as a prosperous plantation owner/farmer. As a student, George had done well in mathematics, and he was very meticulous in his work. Surveying seemed a natural profession since it was not only respectable to the land gentry, but it was profitable as well. Under the tutelage of his half-brother, Lawrence, George studied his surveying lessons and practiced surveying and plotting the land at Mount Vernon using his father’s old surveying compass. Finally, when he was ready for some field experience, Lawrence arranged with the Fairfax family to have George accompany William Fairfax and James Genn, the surveyor of the South Branch Manor, on a spring trip to the backcountry. By March 28, 1748, they were surveying on the South Branch River. By April 10, Washington and Fairfax had left Mr. Genn and were on their way back to Frederick Town (now Winchester). The trip had been short but instructive; one might call it a brief apprenticeship. The next year, William and Mary College had approved his surveying skills and Washington received an appointment as the surveyor of Culpeper County. This allowed him to make surveys on his own and establish his lucrative profession. George Washington returned to old Frederick County over the course of the next several seasons making surveys for Fairfax grantees through the spring of 1752. Most of the survey work was done in the early spring before the leaves were on the trees and before crops had to be planted. However, to keep up with the demand, he did survey in the fall of 1749 and 1750 after the leaves had fallen. George Washington continued surveying until he became master of Mount Vernon following his brother Lawrence’s death. 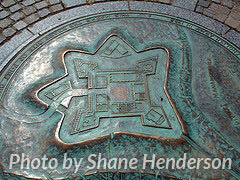 The fall of Fort Duquesne in November 1758 removed much of the threat from the Virginia frontier. With the French no longer allowed free access to the Ohio River, their active campaign against the Virginia frontier was over. Washington turned his thoughts toward home and his coming marriage. When he headed east out of the Shenandoah Valley, he was a hero and international figure. The ten years George Washington spent on the Virginia frontier were among the most important in his life; they were his formative years. Fortunately for us, we can stand along the banks of the rivers he traversed, and we can hunt the same fields he hunted. We can look down from the mountains he crossed, and there we can see the outlines of his surveys. Some of our present fence lines marking fields were the lines he laid down two hundred and fifty years ago. He had found experiences that would later fit him for the roles of Commander of the Continental Army and first President of the United States.